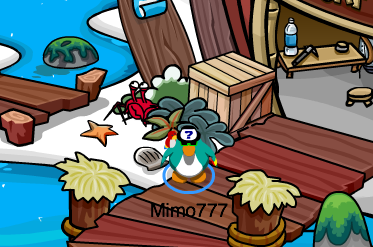 Club Penguin Cheats by Mimo777 Club Penguin Cheats by Mimo777: Club Penguin Crabs, Crabs Everywhere! No Mimo the blue crab appears every 15 minutes. There is no blue crab. It's a red action crab. 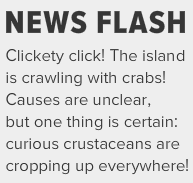 The crabs are now taking over CP. the blue crabs are the leaders of the red crabs, if you were on back in 2006 you would know that crabs invaded the island in the town and you couldn't see a thing. then we found a blue crab and he fixed it. 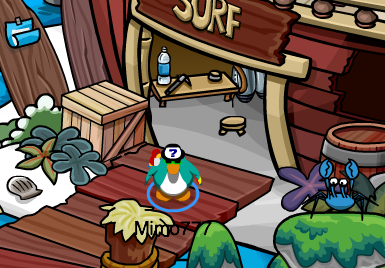 i also believe that soon we may be able to adopt blue crabs as pets, because at the pete shop it's the pet shop, not the puffle shop. That would make sense! Because on the map, you can select 'Pets' as a locate button; but there's only one pet shop, so that would be easy to remember, right? Crab shop!